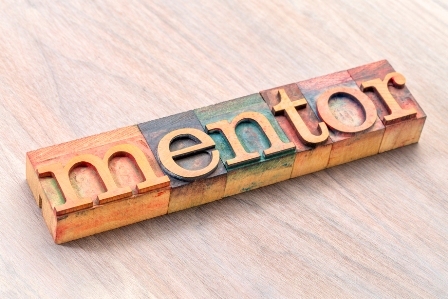 Mentors should focus on empowering beginning teachers. Years ago, I did a lot of work with William Glasser’s Control Theory/Choice Theory regarding motivating students. Glasser described a focus on survival, belonging, power, freedom, and fun. If you had a classroom where students’ survival needs were met (physical and emotional safety) and you created a sense of belonging, where the relationship pieces fit in, students would comply. They would meet minimum requirements. If you wanted to move students to doing quality work, you really needed to create an environment where students found power, freedom, and fun in the learning that they were being asked to do. I have always been a proponent of project-based learning, live event learning, and student voice and choice. These build power, freedom, and fun. I suggest a similar focus for mentor programs for beginning teachers. When do you have to show up to get something done on the copier? How do you get a break for the bathroom? What paperwork needs to be done by when in order to stay out of trouble? Mentoring should move from survival needs being met to building a sense of belonging for the new teacher within the school. Then moving to the new teacher to finding power, freedom, and fun within the profession they’ve chosen. Look for power, freedom, and fun by identifying where the beginning teacher finds his or her motivation to teach. For most teachers, the motivation to teach isn’t found in the standards that students need to meet. Teachers have a passion for something that they want their students to gain from working with them. They have an outcome. They have an attitude. They have a belief system that they want their students to develop. Often the job of the mentor is to assist the beginning teacher in understanding how they meet the standards and achieve the important issues that are motivating them as a teacher. The standards suggest to the public that it doesn’t matter what teacher your child gets, because the standards are going to be met in any fourth-grade classroom. The standards are going to be met regardless of which of the two biology teachers you have. The person dedicated to being a teacher knows that a student taking a class from me, spending a year with me, is going to leave with something special. I’m afraid the pressure that beginning teachers are often under from a curriculum standard, test-driven system can drive power, freedom, and fun away from the beginning teacher. Mentors can begin by sharing their own personal passions and beliefs about teaching and how they manage to deal with meeting the standards while achieving those additional elements that generate a sense of power, freedom, and fun. These are often found in how they teach, or in the classroom environment they generate. I suggest that meeting the standards is in effect the cost of being a teacher. If I generate learning that has students master the standards, I have the opportunity to develop the passion, beliefs, and attitudes that drive me to be a teacher. It’s important for the beginning teacher to discover that making him or herself vulnerable to input from colleagues is a career-long path to great teaching. It’s critical that the beginning teacher not see the mentor as an evaluator, not see the mentor holding some measuring stick up in front of the teacher saying when you meet these criteria, mentoring will be over. You’ll be accepted into the profession. Mentors might start by having the beginning teacher coach the mentor. Invite the beginning teacher into the mentor’s classroom to observe and provide feedback. Model for the mentee the way she can request coaching from the mentor. Years ago, I worked with a district that was trying to decide how long a mentor program should last. Should mentoring be a one-year program, an 18-month program, a two-year program? I love the decision that they reached.They said that mentoring was over when the beginning teacher threw open the door of the classroom and said,”You can all come in.” They realized that at that point, the teacher was now a full-fledged professional. Getting all the ongoing collegial support that they should; taking ownership of their continued growth. The job of the mentor is to build the beginning teacher’s skill level and confidence level to the point that she is open to coaching: to develop coachability. When designing a mentoring program for several districts over the years, I had the belief and still do, that mentoring programs should span five years. Research supports the fact that teachers tend to leave during the first five years in the profession. Year 1 is about survival; years 2 and 3 is about thriving; and years 4 and 5 is about jiving! By year five, the proteges are ready to become mentors to new teachers, so the cycle repeats itself with the fifth year teachers becoming the mentors for the new proteges. The cycle was used in a process that I designed in a regional high school district and was very successful in creating plersonnel tability. It also built trusting relationships among the mentors and proteges that, in turn, sustained a culture which valued risk-taking, accountability and collaboration. This process also supported a culture in which the mentor teachers became leaders in the school. Leadership became a process more than a person! It’s called collective leadership. I like the model. Switching from mentee to mentor after five years, extends the coachability and team culture.